FIGURE 1-24 Proposed model for the insertion of the /^-adrenergic receptor (AR) in the cell membrane. The model is based on hydropathicity analysis of the human /32AR. The standard one-letter codes for amino acid residues are used (See Appendix E). Hydrophobic domains are represented as transmembrane helices. Noted are the potential sites of N-linked glycosylation. Redrawn from Kobilka, B. K. et al. (1987). Proc. Natl. Acad. Sci. 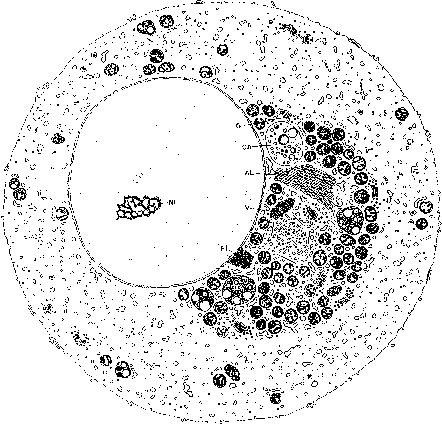 USA 84, 46.
spanning component, and the intracellular component. Each domain has its own unique biochemical properties reflecting its location and function. Frequently the membrane receptor comprises a single polypeptide chain where the N-terminus lies outside the cell and the C-terminus lies inside the cell, but some receptors may comprise subunits, i.e., ion channels.